It’s no surprise media is the ultimate sharing and collective experience. For Kayley Cox — a Thurgood Marshall College senior graduating this spring, majoring in molecular biology and minoring in literature writing — the Internet has become her platform for sharing experiences with the world. “The Earth is Full” is a captivating and breathtaking travel blog exposing the beauty of the world around us, coupled with personal adventure tips that she so selflessly shares with her audience. And if Kayley’s adventures don’t inspire readers to go on their own, I’m not quite sure what will. Read on to get the backstory of these personal adventures turned public experience. BL: When you first started this blog, what was the vision for yourself? For the blog? KC: I started this blog as a way to create a space to share my adventures. I wanted to look back on memories from trips and inspire people who read my posts. I wanted to grow as a writer, increase my media presence and branch out in a new hobby. For the blog, I really wanted it to be an inspiring space for readers to see all the world has to offer, and get inspired to go out and adventure. KC: The title of my blog comes from a psalm in the Bible. It’s part of Psalm 33:5 that says, “the earth is full of the Lord’s unfailing love.” I really love this verse because I feel that it communicates how the world’s beauty reflects God’s love. That’s a huge part of what inspires me to travel and explore: being in God’s creation and seeing all that he designed. BL: I’m interested in the places you’ve written about — most of your content is on state parks and other “natural” areas of the US. Is there a reason you wanted to concentrate your content on these types of places in particular? KC: It’s a pretty simple answer, but I love being outside! I’ve been visiting national parks before I could even walk; it’s how I grew up. My parents transferred this passion for the outdoors to me, and now that I can explore on my own, I want to share that passion with the world. I’ve even been known to persuade many non-hikers to go on adventures with me. I’ve also been inspired by many travel bloggers and appreciate insider tips on beautiful places, so I wanted to do the same. I hope that by writing about natural places, people feel more comfortable accessing them on their own. BL: Is there a favorite place you’ve visited? And on the other hand, is there a place you have yet to explore and write about? KC: My favorite place so far is the top of Half Dome in Yosemite Valley. I have visited Yosemite National Park too many times to count, and I’ve always stared up at Half Dome wondering what its view would look like. So, last year, I finally checked that sixteen-mile hike off my bucket list and made it to the top of Half Dome. It’s incredible to have a lifelong goal come true, and the experience couldn’t have been any better. I sat at the top for an hour just taking in the view and cherishing the accomplishment. I have so many places I am still itching to explore, but the next park I want to visit is Joshua Tree National Park. It’s known for its unique trees and endless boulders, so I can’t wait to see them with my own eyes. BL: What direction do you hope your blog will take in the future? KC: I still have a lot more content to add to my blog, as I visit new places as often as I can. I also have a lot more San Diego area hikes, hidden gems and local spots to add to the blog. Overall, though, I hope that my blog will become a helpful resource to those wanting to hike or explore. I want the information to be easily accessible and insightful. For example, I hope to introduce more helpful guides such as tips on directions, what to bring and difficulty levels. I have many more trips and ideas in the works, so my content will continually expand. 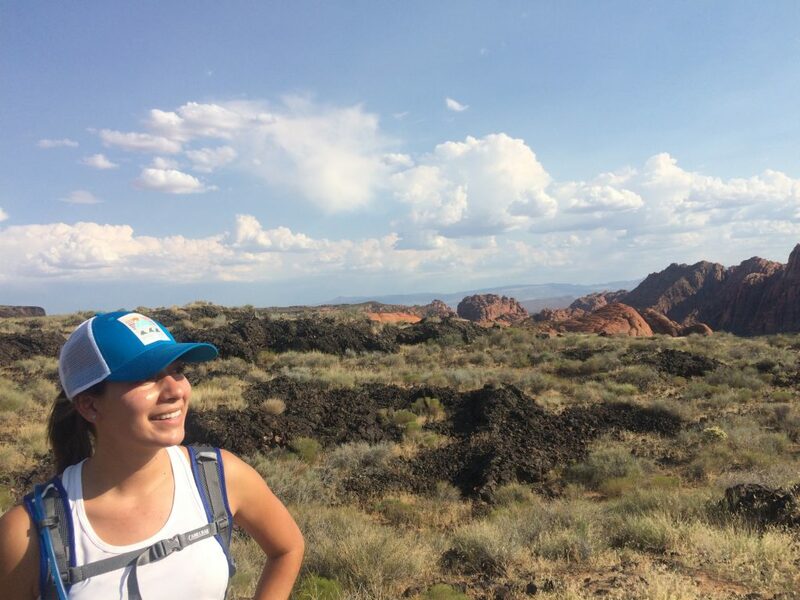 Interested in checking out Kayley’s adventures or want to be inspired to go on your own? Check it out at http://theearthisfull.com!